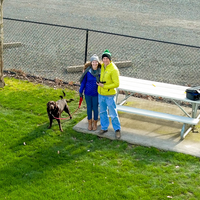 I am a drone pilot located just north of Seattle in Bothell, WA. I love to capture different kinds of pictures and videos from the air for various industries. I am also a member of a volunteer mountain rescue unit in Snohomish County that is starting to incorporate drones into our search and rescue operations. I am passionate about drone laws + safety and I am constantly trying to educate the public about drones while capturing amazing aerials for my customers.